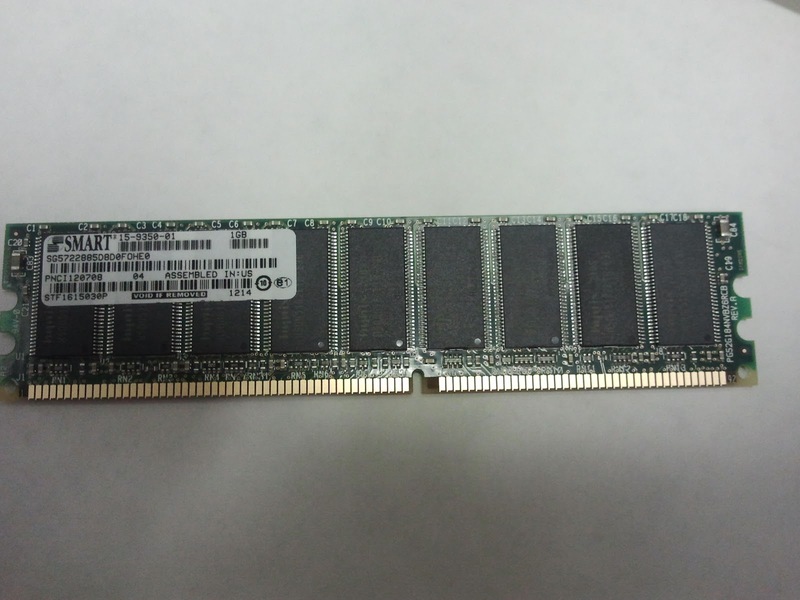 About a week ago, I put in some more memory in an ASA 5510 so that we could upgrade the IOS to the 8.4 code. 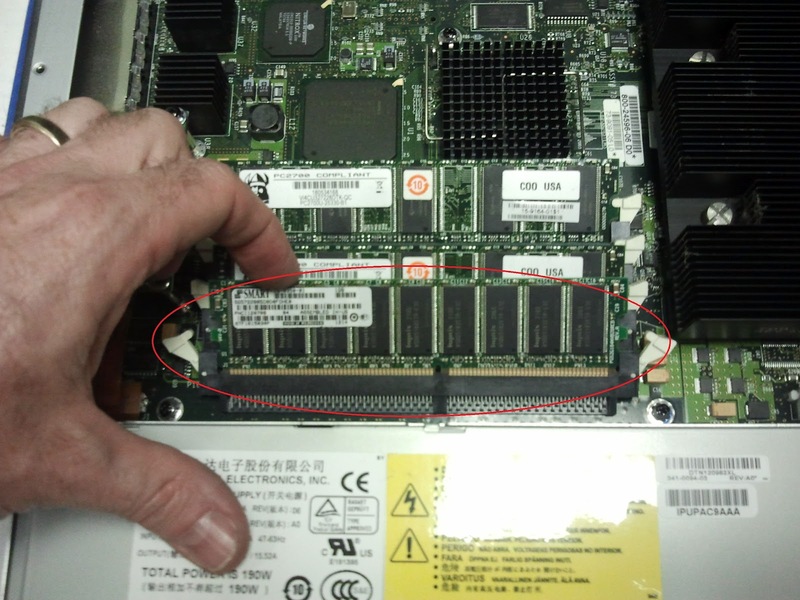 I thought Id show you what inside the ASA looks like and where you would put in the memory. This one had 512Meg of RAM in it already, but I took that memory out and put in the 1Gig stick you see below. Its not a hard job to do. It does only go in one way. You can see the slots on top of the motherboard inside the ASA. Its very accessible.